Are you thinking of switching from your current fixed rate mortgage deal to a new fixed rate deal? 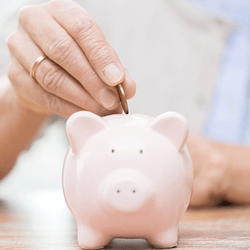 Find out if you would actually save any money now! Use this Mortgage Switch My Fix Calculator to get an estimate of the maximum interest rate you can switch to from your current mortgage and still save money. Just enter some information about your current mortgage and the costs involved in switching to your new mortgage and our calculator will find the lowest rate you need. How Much Is Your Current Mortgage Early Repayment Charge? How Long Before The Early Repayment Charge Expires? Would You Like To Add The Early Repayment Charge To Your Remortgage? Note. Only Add Costs Which Either You Are Paying Upfront Or Adding To Your Mortgage. If you are nearing the end of your fixed rate mortgage deal but have already found a new mortgage deal you would like to switch to, how do you know if you are saving money by making the switch? There are many factors other than the headline rate of the new mortgage, or the new monthly payment you will make that can hide the actual cost of switching. Early Repayment Charges - If you have a fixed rate deal, chances are you will have to pay a penalty if you repay the mortgage before a certain period of time. This charge needs to be taken into account when deciding to switch. We factor the number of months remaining on your early repayment penalty and spread the cost over that period. Adding any costs to your new mortgage will result in an increase in interest charged for a longer period, so this needs to be taken into account. Using the above factors we deduce the highest rate at which it makes sense to switch as you will still be saving money. Please remember our switch your fix calculator is working using estimates and actual mortgages vary so results may differ.